Who are the Denisovans? Are they the true founders of human civilization? Are they the giants of legend? Evidence of the emergence of high culture in the form of musical instruments, advanced stone tool technologies, bone needles, precision finished jewellery, advanced calendrical systems, swan shamanism, and even horse domestication has been linked to an extinct human population recently discovered in southern Siberia. Known today as the Denisovans, there is every indication that 60,000-70,000 years ago they were the most advanced human species on the planet. Legends from southern Siberia regarding this population suggest that they were the first to built bridges, irrigation channels, and even megalithic monuments. 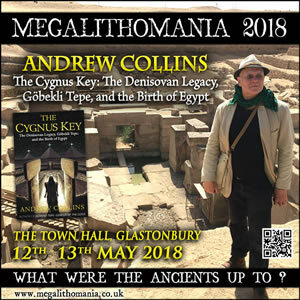 By way of an introduction to his new book The Cygnus Key, Andrew Collins reveals the true impact of the Denisovans on everything from Gobekli Tepe to the birth of Egypt’s Pyramid Age, and the spread worldwide of a calendrical system based on eclipse cycles that was almost certainly invented by the Denisovans. He will also show the Denisovans profound knowledge of sound and sound acoustics that eventually finds expression in the construction of the earliest and most accomplished enclosures at Göbekli Tepe. In the 1970s, a motley assortment of leyhunters, dowsers and members of RILKO and IGR combed the Preseli hills of West Wales looking for evidence of a Preseli Zodiac. Support for their researches originated from ancient Welsh legends, and they almost found the original Stonehenge. 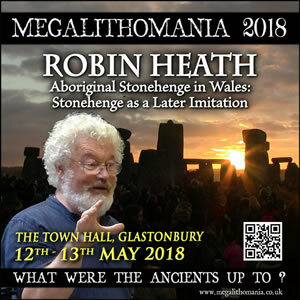 For the past 33 years, Robin Heath has been living and working within this landscape, discovering that the landscape itself, together with the siting of several important megalithic monuments reveals the 'zodiac' that also formed the original design for Stonehenge. Robin's illustrated presentation is the subject of a recently published book, Temple in the Hills. Lecture 2: Keeping on the Old Straight Track Applying John Michell's legacy to new research. The John Michell Memorial Lecture, Hosted by Christine Rhone. John's books and lectures reintroduced two generations or so to a global prehistoric science whose traces were still visible because they had survived into later Babylonian, Egyptian, Minoan, Greek and Roman times. 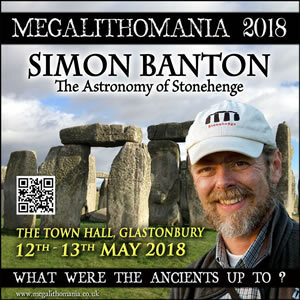 Although the scientific establishment remains to be convinced of it, this 'megalithic science' (which John sometimes referred to as 'spiritual engineering') remains recogniseable to modern thought. 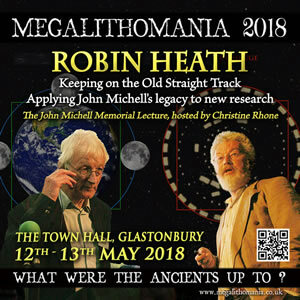 In order to demonstrate the effectiveness of the ancient sciences when correctly understood and then applied, Robin will revisit some of John's favourite haunts, and pull a few new rabbits out of the hat. An archaeo-astronomical analysis of stone circles and other megalithic monuments reveals that they were planned to be ritually observed and used at sunrise on eight portentous dates of the year—the traditional agricultural quarter days and cross-quarter days. The underlying concept is that of the Sacred Marriage or “fertility union” between Sky Father and Earth Mother or Mother Goddess. The presentation discusses results obtained at the great mound of Knowth, chambered long barrows, recumbent stone circles in County Cork and Aberdeenshire, and Stonehenge. Despite continuing diehard dogmatic obstruction by some academics, the new research firmly establishes that the megalith peoples of Britain and Ireland strongly believed in a fertility Mother Goddess. 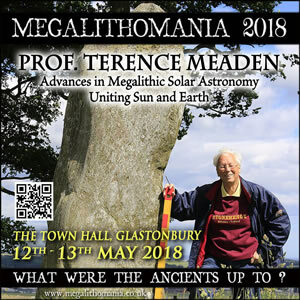 Prof. Terence Meaden, M.A (Oxon) M.Sc. (Oxon) D.Phil. (Oxon), is a professional physicist, meteorologist and archaeologist with undergraduate and doctoral degrees (1954 to 1961) in physics and a MSc in archaeology from Oxford University. 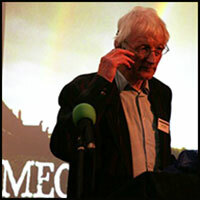 He has made significant contributions to Neolithic and Bronze Age archaeology and his books include Stonehenge: The Secret of the Solstice, Secret of the Avebury Stones, The Goddess of the Stones: Language of the Megaliths, and most recently, Stonehenge, Avebury and Drombeg Stone Circles Deciphered. 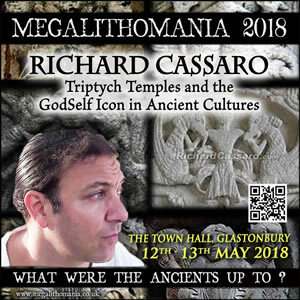 In his richly-illustrated presentations, Richard Cassaro will discuss some of the new archaeological discoveries set forth in his two books Written in Stone (2011) and The Missing Link (2016). These include his two most famous finds—"Triptych Temples” and “GodSelf Icons.” Cassaro will show evidence that these were key symbols for many ancient cultures, and that they held the same meaning in each culture. He will also show how both symbols form the central features in a hitherto largely unknown Universal Religion that has been passed down through history via Secret Societies like the Masonic Fraternity. 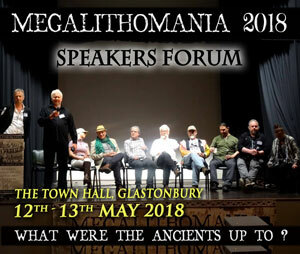 Thomas shares his extensive research on evidence of magic and sorcery at megalithic sites worldwide. His most passionate area of work is mythology and folklore, as well as the magical traditions and megalithic sites of the IndoEuropeans. 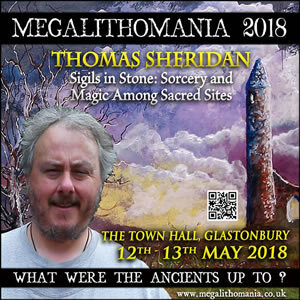 Thomas Sheridan's presentation at Megalithomania will be concerned with the magical aspects of certain ancient 'sacred' sites, along with presenting evidence that the famous Round Towers of Ireland are a part of the European megalithic tradition. Being far older than the arrival of Christianity in Ireland, they were a mixture of pagan temple and machine. 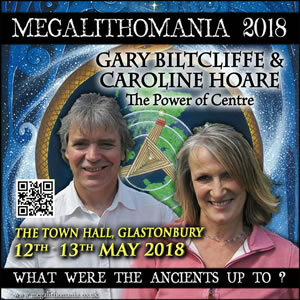 After visiting many Celtic sites around Europe, Gary Biltcliffe and Caroline Hoare discovered that these ancient tribes marked their territory by locating and honouring its geographical centre or ‘navel’ by either using the nearest natural feature or by constructing mounds, stone monuments, and ceremonial earthworks and re-shaping sacred hills to create a link to the cosmos. Based on their new book, they reveal evidence at these centre-points of the worship of the ancient British goddess, dragon pathways aligned to the sun and crossroads where old trackways to the cardinal points meet. These principles of cosmology adopted by the Celts from the ancient Egyptians, Greeks and Etruscans can still be found throughout the British Isles and Ireland and in some of the foundation plans of our earliest towns and cities. The astronomy of Stonehenge is a complex and controversial subject. Arguments have raged over the intent and depth of knowledge of the builders ever since the midsummer sunrise alignment was rediscovered in the 18th century, and the discipline of archaeoastronomy is still viewed with suspicion by some archaeologists. This talk will show you where to stand, in which direction to look to see for yourself what the ancients achieved, and will confront the issue of eclipse prediction using the Aubrey Holes. There may be some surprises along the way. 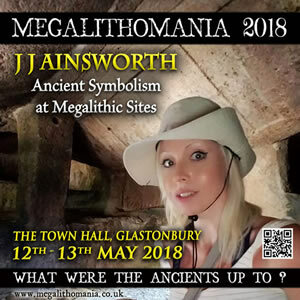 American research Jj Ainsworth will share her research on ancient symbolism from all around the world and reveal many surprises and connections between ancient cultures. This is her first public lecture. 420 geometric stone spheres have been found in the vicinity of Neolithic stone circles in Northern Scotland, Orkney and a few other areas, with a majority coming from Aberdeenshire. Outside Scotland examples have been found in Ireland at Ballymena, and in England at Durham, Cumbria, Lowick and Bridlington. 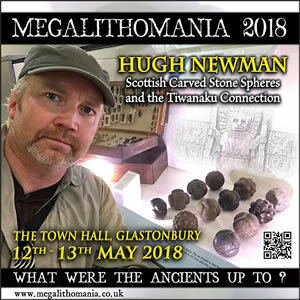 Hugh Newman investigates museums in Orkney, Scotland and England on this quest to uncover the truth about these strange objects, and one was spotted by over 6000 miles away in the area of Lake Titicaca in Bolivia. Including guest speaker Christine Rhone. Every year, Megalithomania welcomes Christine Rhone to introduce the John Michell Memorial Lecture. 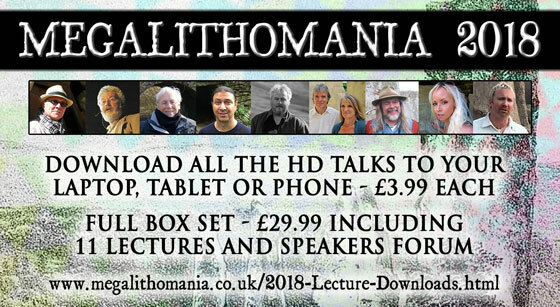 Previous speakers have included John Martineau, John Neal, Christine Rhone and Steve Marshall. 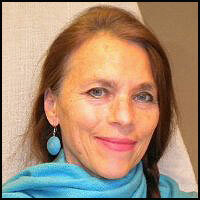 Christine also organises a bi-annual event in London celebrationg the work of the great visionary.